A recent Woman's Day article listed eight different items that some people may be surprised to find are recyclable. One of those items listed were "Kitchen Appliances." If it’s time to retire a nonworking appliance, call your city or county recycling coordinator to ask about bulk waste pickup, or check Recycle-Steel.org to find a nearby steel recycling center. “Even nonworking appliances have a second life,” says Gregory L. Crawford, executive director of the Steel Recycling Institute. “For example, we get about 123 pounds of scrap steel from a full-size refrigerator,” which can go toward making everything from guard rails to appliances. The 123 pounds recovered from that full sized refrigerator adds up when you consider that 56 million appliances are recycled per year. I guess not everybody is surprised to hear about their recyclability! One of the biggest reasons to recycle your appliances, apart from steel's continuous lifecycle as a material, is the conservation of landfill space. It is estimated an additional 9 million appliances are disposed in landfills each year which presents a large opportunity to improve on the previously mentioned figure. Nearly 12,000 locations accept appliances, according to the Steel Recycling Database, which cover over 134 million Americans. 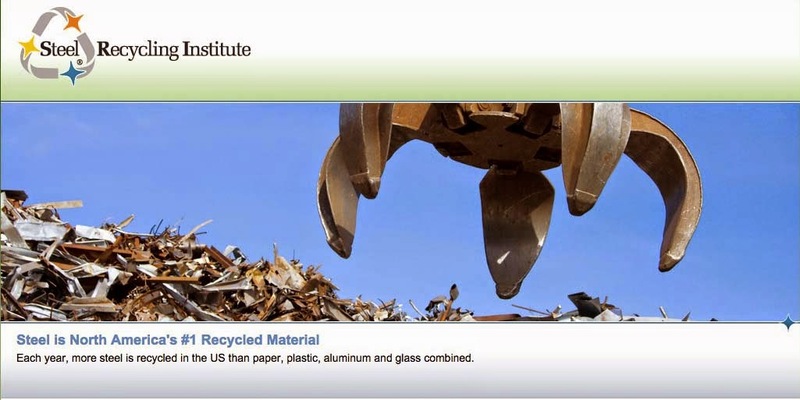 In addition to containers, automobiles and scrap they help make steel North America's #1 most recycled material. So while some people are surprised that appliances can be recycled easily and frequently, we hope they will continue to surprise their friends by spreading the message.